155-157 Beacon Street is a West End brick multi-family looking for its next owner. The floor plans of the first and second floors are similar, currently set up as 2 bedroom apartments with large living rooms, formal dining rooms, and a kitchen with pantry and laundry hook-ups. The bedrooms are both oversized, with a full bathroom between them, and the front-to-back center hall separating them from the living space. The units have hardwood floors throughout. The top level is a four room apartment with one bedroom. It has full entrances at both the front and the rear, and private storage area at the top of the front stairs. The building has four electrical meters, three gas services, three boilers, and three hot water heaters, so the tenants pay their own utilities. Most of the windows have been replaced. There is off-street parking at the rear of the lot. This is a perfect property for an owner-occupant who wants to take over the available top level apartment, or an investor looking for positive cash flow. Rents for the first and second floor units are both $1,200, with the top floor previously renting for an additional $850. Don’t miss a rare opportunity to own an income property in the West End! 155-157 Beacon Street is offered at $350,000. If you’d like to see this home, please have your agent arrange a showing or call Amy at 860-655-2125 to schedule a visit. More details are available. 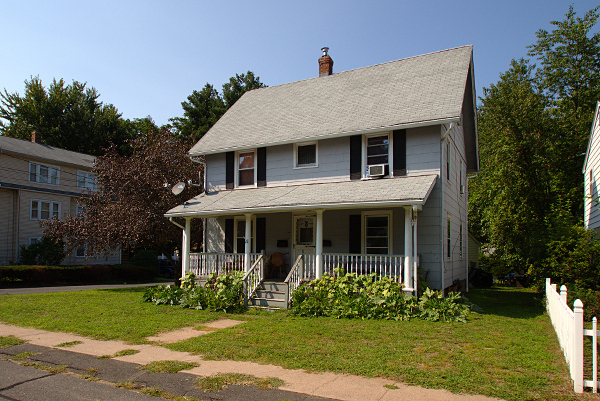 You’ll find a great owner occupant or investor opportunity with this West Hartford two family home. Many updates have already been done for you. The first floor unit features a formal living room and dining room with a heated sun porch. The kitchen is updated and has a pantry for additional storage space. There are two bedrooms and a full bathroom. The second floor unit has a similar layout except that the wall between the living room and dining room has been opened to create one large space. It also has a heated sun porch, kitchen with pantry, two bedrooms and a full bathroom. Both units have hardwood floors. The basement has separate laundry hook ups for both units, as well as separate gas mechanicals for each unit. The exterior of the home has a newer roof, vinyl siding and replacement windows. There is parking space for three cars. Conveniently located close to shopping, highways, CT Fastrak, and the local elementary school. 69 Foley Street is offered at $299,000. If you’d like to see this home, please have your agent arrange a showing, or call me at 860-655-2125 to schedule a visit. More details are available. 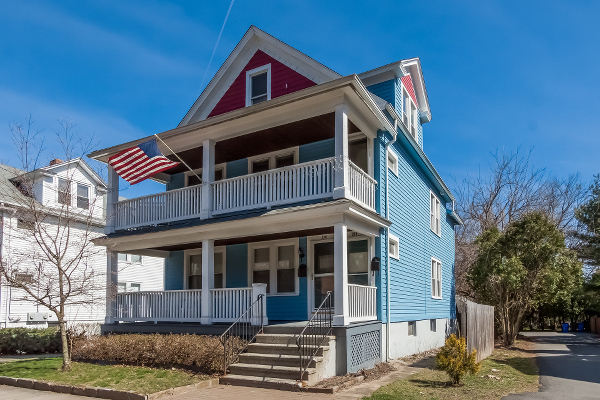 Don’t miss this fantastic opportunity to own a nicely updated 2-family, perfect for an owner occupant or investor, and so close to the Center and Blue Back Square. Lovely 1920’s charm throughout both light and bright units, each freshly painted with refinished hardwood floors. Both units have a similar layout with front porch, living room with fireplace and built-in book shelves, formal dining room, kitchen with pantry, three bedrooms and a full bathroom. The kitchens have been updated with new cabinets, stainless steel appliances (including dishwashers and microwaves), counters and sinks. Bathrooms have also been remodeled with neat and clean finishes. The third floor is currently a walk up attic space which is floored. It has excellent potential and could easily be finished to increase the size of the second floor unit. Laundry is located on-site in the basement. There are individual gas mechanicals for each unit. The property features new windows and exterior doors, and a freshly painted stucco exterior with new vinyl shake siding on the front porches. A two car detached garage (with garage door openers) and recently paved driveway provides plenty of parking space. A strong rental history makes this a great prospect. 25 Outlook Avenue is offered at $449,000. If you’d like to see this home, please have your agent arrange a showing, visit our open house on Sunday October 23rd from 1-3pm, or call me at 860-655-2125 to schedule a visit. More details and a photo tour are available. Attention investors. Solid two family in need of updating. Rental income in place. Neighborhood setting with nice yard. Separate gas mechanicals for both units. One new hot water heater. Off street parking and carport. Sold as-is. 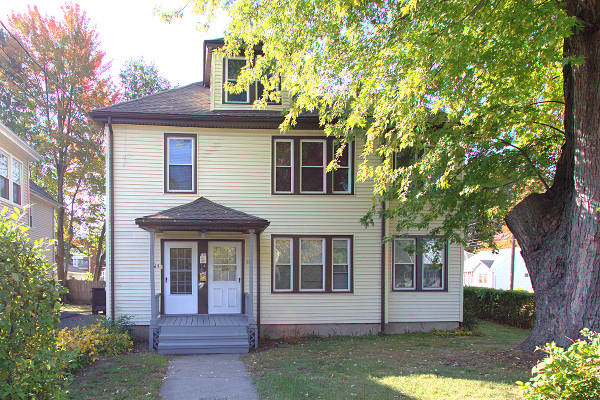 48 Bliss Street is offered at $89,000. If you’d like to see this home, please have your agent arrange a showing or call me at 860-655-2125 to schedule a visit. More details are available. 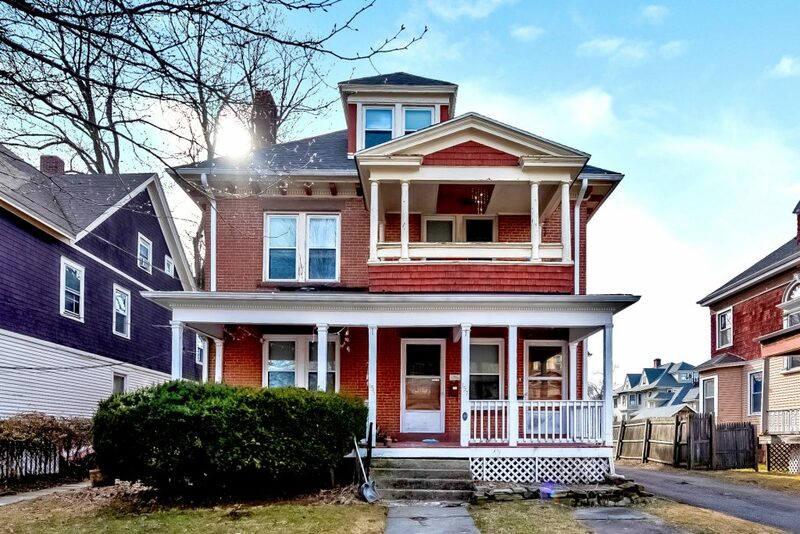 Steps from the historic Wethersfield Green in desirable Old Wethersfield, this 2-family would be a great owner-occupant or investor choice. The first floor unit has a charming front porch, open living room and dining room, eat-in kitchen with dishwasher and pantry, a full bathroom and one bedroom. Laundry is located in the basement for the first floor. Upstairs, the second unit encompasses the second and third floors. It features a mudroom space which opens to a renovated eat-in kitchen. There are upgraded cabinets, counters and appliances. Similar to the first floor unit, the living and dining rooms are open to each other. There is a full bath with Jacuzzi tub, large walk-in closet, and laundry room closet on the second floor. The third floor has a master bedroom with a half bathroom and a second bedroom. This unit also has access to a private front porch and elevated back deck. 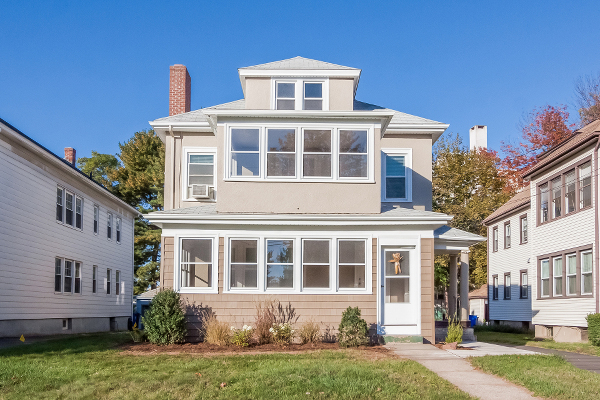 The home features a new roof installed in 2015, fresh exterior paint, many replacement windows, hardwood floors, individual gas boilers and hot water heaters, a patio, and plenty of off-street parking space. 234 Broad is offered at $275,000. If you’d like to see this property, please have your agent arrange a showing or call me at 860-655-2125 to schedule a visit. More details and a photo tour are available.